HAPPY PLACE was created because we BELIEVE that our world today can use a lot more happiness. To make this DREAM come true, we set out on a journey to create a special place where anyone who walks in is surrounded by all things HAPPY. The first HAPPY PLACE in Los Angeles has been nothing short of a DREAMfor us and now we are excited to take the Happiness on Tour and visit cities all around the world. Watching so many visitors of all ages from all around the world come through our doors and leave with a smile, made us WONDER, why not spread the HAPPY? Founded by Jared Paul and opened originally on November 20, 2017, this massive pop-up experience is filled with larger than life size installations, multi-sensory immersive rooms, and dozens of moments curated to Capture Your Happy. HAPPY PLACE will be in Los Angeles until May 27, 2018 and will be creating smiles when visiting the city of Chicago this Summer. 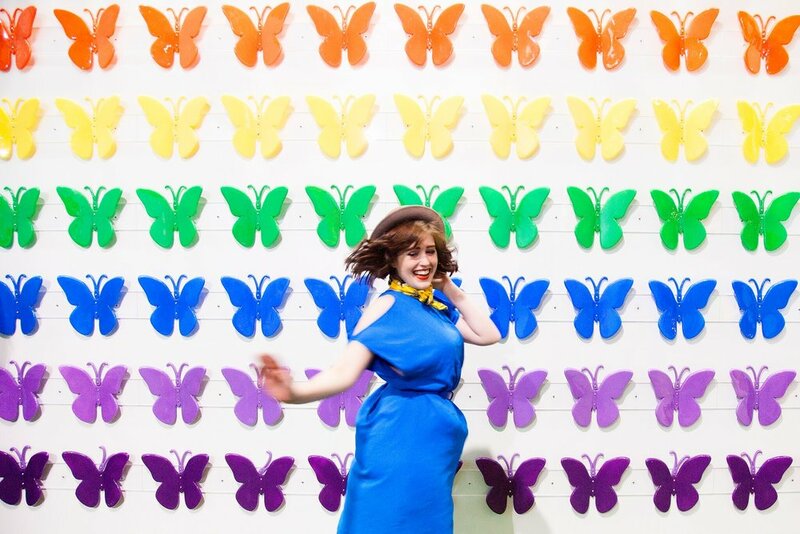 Some highlights include: taking photos in a golden wonderland in the super bloom room, standing in the middle of the world's largest indoor confetti dome surrounded by half a million pieces of confetti, jumping from a double rainbow into a pot of happiness, and posing inside HAPPY PLACE's signature rubber ducky cubby of fun. For Tickets to HAPPY PLACE CHICAGO, sign up here. Thank you for subscribing to Happy Place!